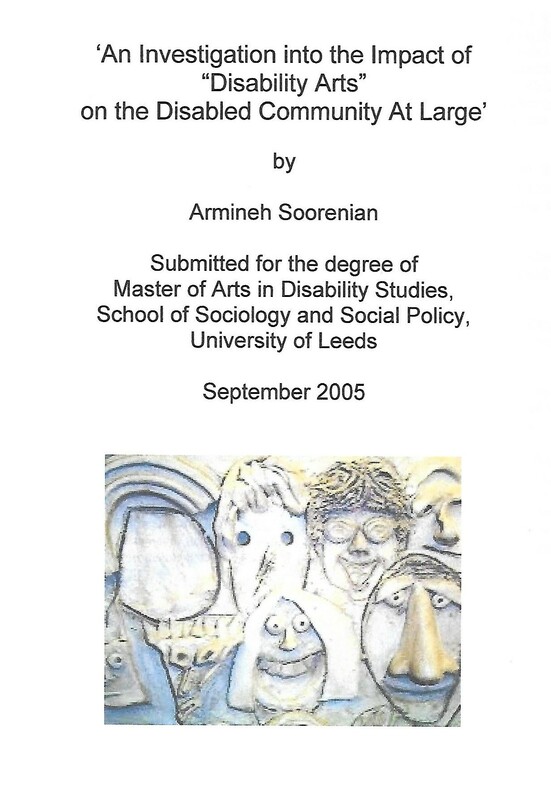 In 2003, I moved to Leeds to undertake a Masters course in Disability Studies. This course was very different to any of my previous studies. All the students on the course were disabled which automatically created a sense of collective identity; we all felt like being part of a family. The sense of belonging to a small community was especially important as almost all of us were international students away from our own families and familiar environments. Unlike at the Blind College, we all felt included and empowered both inside and outside the Disability Studies group. The course was totally accessible, and to my surprise, I received the lecture handouts in advance of the lectures in accessible formats, and the transcription centre went to great lengths to convert most of my course reading list to an electronic format. It was here in Leeds that I learned about disabled people’s rights and through discussions with my classmates I began to realise about our collective oppression. This made me see that my previous experiences of being discriminated against were not one off incidents. I was determined to learn more and thus enrolled on the PhD programme at University of Leeds. For my MA dissertation, I volunteered at Pyramid of Arts, a Leeds based disability arts organisation for people with learning difficulties, where I facilitated the members’ involvement in a range of art media. Through interviews and observations, I learned about their group identity as disabled artists, and the empowering effects of art on their lives.